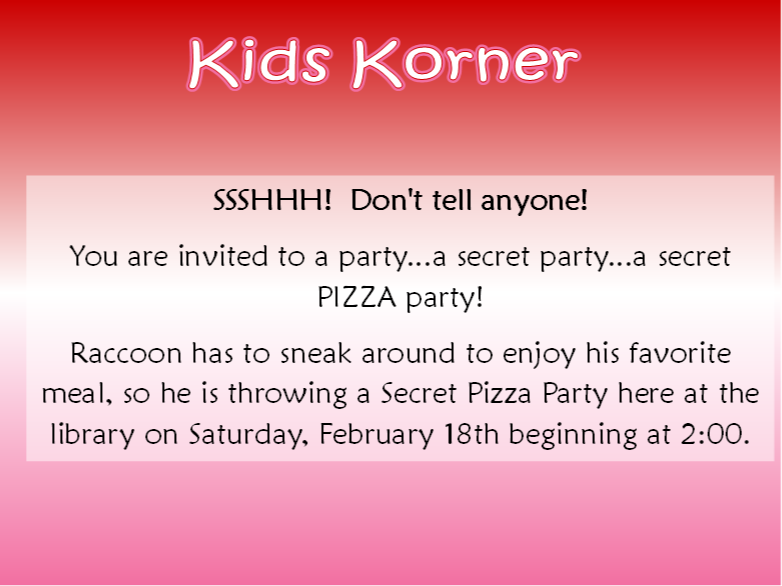 News at Spencer Public Library: Secret Pizza Party! OF COURSE… eat pizza! Kids of all ages are invited. this party is sure to satisfy your taste buds!